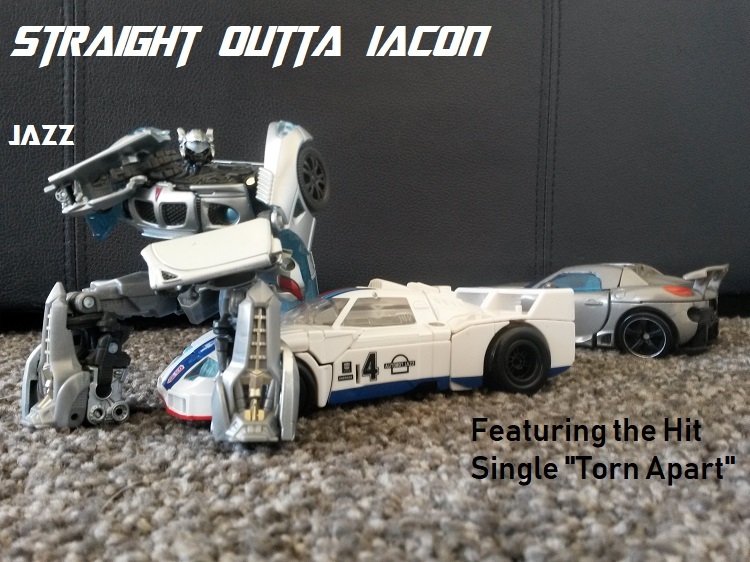 While TFcon is usually a great time for all fans who are able to attend, we rarely, if ever, hear any sort of official Transformers news from the convention. But this year, it appears as though things were a little bit different. Thanks to the ladyofwreck over on Twitter, we have word that Brandon Easton, who is set as the writer to the new Netflix Transformers series, was at TFcon LA and gave a presentation about his involvement in the upcoming series. He had a fair amount to say regarding the series itself and where it fits in within the larger Transformers lore. We will quote some of the more important Tweets below, but please check out Wreckette's Twitter thread for all the details, large and small! Brandon has written over half the first season of the show. And it will be directed to the older fans of the brand. Dude knows the comics that's ace. Dropped a few specific details about IDW Unicron series. How to watch? Doesn't know yet. Hopefully more than one season. DVD/Blu-ray should be out maybe a year after show releases. Voting with your dollar works. 6 episode season around 22 mins give or take. He thinks when a trailer drops fans will be very pleased and surprised at how it's going. Can't say if Metroplex is in it. The lore coming out may have lasting effect on canon. Favorite character is Megatron. 86 loved how Megatron was represented. Likes black arachnia, BW Megatron. How involved is Hasbro in character direction? Not oppressive, keeping the characters true to themselves. 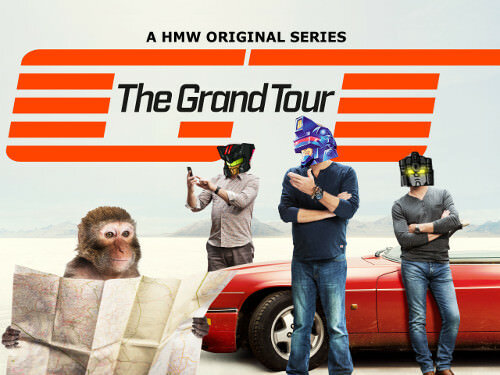 G1 fans will not be disappointed. Favorites of Transformers? Season one of the first series of G1, 2nd season of BWs. He believes #warforcybertron is gonna be the next definitive show in the brand. I hope this series turns out better than the 'Bionicle" Netflix series. It had very nice visual style but the characters and story were just awful. It cant be any worse than the Machinima series though right?....right? Pandering too much to the old fans is bad, especially if said 'old fans' mean 'the people making the show'. Call me skeptical or even a doomsday prophet but I predict this will be the next She-Ra Reboot dumpster fire. Now watch this comment get quoted over and over again and my entire character as a human being attacked and destroyed for saying that show is garbage. Skritz wrote: Pandering too much to the old fans is bad, especially if said 'old fans' mean 'the people making the show'. Call me skeptical or even a doomsday prophet but I predict this will be the next She-Ra Reboot dumpster fire. Now watch this comment get quoted over and over again and my entire character as a human being attacked and destroyed for saying that show is garbage. I'm going to quote you, but it's because I agree on the She-Ra reboot. Garbage. Let's not go on about She-Ra, this ain't the place for it. I won't attack you, but the vibe I'm getting here is that it's going to be more like Voltron Legendary Defender than the previous Machinima shows. I don't really get the comparison to She-Ra, that show was made for the Cartoon Network/Nick crowd. If this really is being made for older fans, even if it is just writers satisfying their own egos, I doubt it'll be anything like that. I'd whine about not being able to see it since I don't have netflix, but I've been disappointed with Transformers tv shows since 2007 when I realized the tv franchise peaked for me with Beast Wars. With that in mind, I'm not overly enthused with the idea of a new show, BUT I know the toys will be fun. At least I've not been disappointed with the toys. 6-episode series totaling to 22 minutes means episodes of about 3-4 minutes in length each. Sabrblade wrote: 6-episode series totaling to 22 minutes means episodes of about 3-4 minutes in length each. Wait, so I misread and its not a six episode mini-series of 22 minutes each?! *shrug* The same showrunner who made the Prime Wars Trilogy for Machinima is also the showrunner for this one. Along with one of the same writers as Combiner Wars. I understand you.There nothing wrong with referencing G1,but this also needs to stand on its own. Skritz wrote: Pandering too much to the old fans is bad, especially if said 'old fans' mean 'the people making the show'. Call me skeptical or even a doomsday prophet but I predict this will be the next She-Ra Reboot dumpster fire. But, you do realize Netlifx She-Ra is garbage because it is the complete opposite of the original, not because it panders to fans of the original right? The Example of Netflix Voltron is more appropriate. Fans of the original series, who took the idea, made it fresh and exciting for a new generation, as well as original fans could appreciate. Nobody feels left out, and everyone wins. THAT should be the goal. My concerns come more from the fact that this comes from the writer of TF: Deviations. For 30 years I've made fan *what if* stories in my head, and certainly the idea of what if Prime didn't die in TF:TM was top among them. This was a great idea, that had horrible execution. Still I'm willing to give anyone a second chance. Though we all know if this fails, all fans young and old will claim that trying to bring back the Original Series can never work, because it failed with Machinima once already (though I don't think it should count, anyone who is against the original series is certainly counting it). I mean, I've seen fans take used clips of the original series, and Japanese series and piece together from literal scraps, and zero budget, some really good material. I don't see why an official production cant do better. Agreed. That's what I got as well. I don't think Netflix would sink money into something like that. Love, Death & Robots' shortest episode was 6 mins and the longest only 17 mins. So IF they were to do 6 episodes totalling 22 minutes, that works out to around just under 4 minutes an episode. That wouldn't tell much of a story at all. Old Looney Tunes cartoons ran around 6-10 minutes! So i'm inclined to think it's 6 x 22 minute episodes, if it's anything else, that just sounds like a very bad idea. Pretty sure it is 6 episodes that are 22 minuets long, (other sites have reported it this way) it is easy to misquote something like that. While the First Machinima series did have some 5 minute long episodes, and admittedly there are some episodes of some series that are rather sort...There are some factors to consider. In all fairness, everyone is going be looking at the failure of the Machinima series, and the many reasons why it failed. For this Netflix series..with all parties involved we can presume we are going forward NOT backward. Having better quality animation, better stories, better acting...better EVERTYTHING doesn't really seem possible in 4 1/2 minute sequences. I mean I've seen Disney take a single 22 minute episode and cut it into 4 1/2 minute parts, but that is to promote a series that has a full season (an additional 25 full 22 minute episodes) to come. The original clone wars series episodes were less then five minutes a piece and they rocked hard. ZeroWolf wrote: The original clone wars series episodes were less then five minutes a piece and they rocked hard. They were ok...not great. Basically something to hold over the fandom between episodes II & III...of course when they actually wanted to tell a story, what did they produce the next year? An additional season of Longer Better episodes (roughly 12-15 minutes each). GI Joe Resolute is the gold standard I keep going back to as a great example of a short form series, but even THAT (Like 2002-2004 Clone Wars) is best viewed as a single long form film all edited together, as presented in the DVD releases. I know there really isn't a *good way* to watch Combiner Wars but I am glad to have the TLK Bonus Feature version, as it presents it as a single 40 *something* long minute film. It's my sincere hope that at some point Titans Return and Power of the Primes are released the same way. Additionally Star Wars didn't have really a precedent in animation for a long time. There was the Droids & Ewoks series in 83/84, but nothing else from that point until 2002. Transformers has for the past 30+ years had hundreds of half-hour (or 22 minurte without adds) series episodes. I Know TF Go! and Cyberverse are changing things, and the landscape of how animation is being presented is changing as well, but I'm not a fan of either of those, addiitonally if they are trying to create something that will appeal to younger and older fans alike, the standard format seems the safer way to go. Last edited by o.supreme on Thu Mar 21, 2019 10:40 am, edited 2 times in total. I believe Voltron: Legendary Defender was also 22 minutes an episode. The thing that really gets me anymore though are these ridiculously short "seasons". 6 Episodes does not make a season. It's a mini-series. THe designation of a "season" should be related to the total time of the episodes (13- 1/2 hour episodes or the equivalent time, which is 6 and half hours). 6 episodes of 22 minutes is the equivalent of a full length motion picture (132 minutes or so). You can tell a story in 132 CONTINUOUS minutes, but it's just not adequate for something as broad as the history of the war for Cybertron. First-Aid wrote: I believe Voltron: Legendary Defender was also 22 minutes an episode. The thing that really gets me anymore though are these ridiculously short "seasons". 6 Episodes does not make a season. It's a mini-series. THe designation of a "season" should be related to the total time of the episodes (13- 1/2 hour episodes or the equivalent time, which is 6 and half hours). 6 episodes of 22 minutes is the equivalent of a full length motion picture (132 minutes or so). You can tell a story in 132 CONTINUOUS minutes, but it's just not adequate for something as broad as the history of the war for Cybertron. I agree. I think it was perhaps a way for Netflix to somehow spread out their content more, but a LOT of shows have done/are doing this. To be fair a season can be many lengths of 22 minute episodes. Japan doesn't really do year long anime seasons anymore (with notable exceptions being massive franchises like One Piece or recently Dragon Ball Super) they now revolve around the 13 episode season occasionally dipping into the 26 ep. Sunrise went further with big Gundam animations like 00 and Iron Blooded Orphans where they had one season of 25 episodes took a break (in 00 case it was to allow the showing of Code Geass season 2) and then returned for Season 2. I've watched She-Ra and it's an AWESOME show and I say that as being far removed from the target audience as I can be and I've never seen the original series and not being a fan of He-Man and the Masters of The Universe franchise to begin with. I had more sheer fun watching it than some other shows. The Netflix cartoons that I've watched Voltron, She-Ra, Carmen Sandiego and The Dragon Prince have all been some of the best written and animated series I've ever seen and we should be grateful that Transformers has gotten a home on Netflix instead of Cartoon Network. Time will tell if it's a great series or a **** series when it comes out. But given Netflix's track record I think there is a fairly good chance that this could easily be one of the greatest TF cartoon shows off all time. Cyberstrike wrote: But given Netflix's track record I think there is a fairly good chance that this could easily be one of the greatest TF cartoon shows off all time. Keep in mind that it's still being headed by the same showrunner who did all three series of the Prime Wars Trilogy for Machinima, as well as one of its main writers being the same one who wrote the Combiner Wars cartoon.